Dr. Adam R. Nichols DO.DC. Dip.Med.Herb. ND. JP. 'Adam first became intensely interested in Natural Therapies when he was a teenager after experiencing first hand the benefits of Osteopathic Therapy. On leaving school he dedicated his life and education to becoming a Wholistic Practitioner. 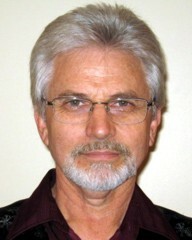 He has always treated his patients using the Wholistic Model, incorporating Osteopathic/Chiropractic protocols with the basic physical therapies such as; interferential electro-impulse therapy, ultrasound therapy, infrared treatment, massage, applied kinesiology, spinal stressology and corrective exercise programs. Naturopathy and Medical Herbalism, Acupuncture( both Traditional and Laser), Orthomolecular Nutrition, Dietetics, Homoeopathy, Neuro-Emotional Technique (NET), Neuro-Organizational Technique (NOT) and Bowen Therapy. Adam’s special interest area to which he is devoted, is Cranial Osteopathy relating to the effects of Retained Primitive Reflexes, on Attention Deficit Disorders (ADD/ADHD) and Delayed Behavioural Development associated with Learning Difficulties in children and adults. Adam's main focus is on Autism Spectrum Disorders including Tourette's and Asperges Syndromes. Sydney College of Chiropractic and Macquarie University Chiropractic Alumni. New South Wales Justices’ Association. Adam is a registered New South Wales Justice of the Peace.